It's raining here, and snowing there, and freezing somewhere else, maybe where you live. On this Thankful Thursday, the weather has turned wintry and I'm snuggling up to the television. It's been years since I've watched traditional tv — sitcoms and cop dramas — and now even my cable favorites have devolved into immature skit humor (I'm talking to you, Jon Stewart). David Simon and Eric Overmyer, the writers behind The Wire and Treme, have changed my perception of what television can do. And they prove that good writing illuminates, informs and entertains. 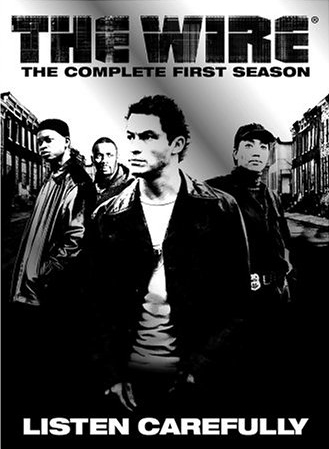 The Wire is a crime drama series set in Baltimore, Maryland. The show centers around the city's inner-workings: the illegal drug trade, the seaport system, city government, the school system, and the print news media. Forget formulaic scripts and tired tropes; The Wire is an unusually deep and intense exploration of urban life. Treme refers to a neighborhood in New Orleans, and this show begins three months after Hurricane Katrina as residents try to rebuild their lives, their homes, and their unique culture after one of the worst natural disasters in U.S. history. The cast is sharp, the characters complex, the music lively, and the stories unfold with skillfull nuance. With each episode I'm left a bit haunted, wondering, "Why weren't these stories told? How did we look away?" Both shows originally aired on HBO and are now available on DVD and Amazon Prime. 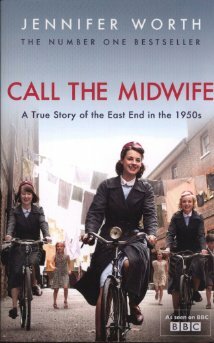 Call the Midwife is a BBC drama series about a group of nurse midwives working in the East End slums of London in the 1950s. Based on the memoirs of Jennifer Worth, the show follows young midwives who live and work alongside medically-trained nuns. Each episode reveals the gritty post-war conditions of poverty, mixed with hope in new beginnings. The series airs on PBS and is available on Netflix. Stories We Tell, is a movie, not a television series. This personal documentary explores family stories while showing "the truth depends on who's telling it." Writer and director Sarah Polley has been called both filmmaker and detective as she interviews family and friends to get to the truth of her mother and herself. The film is poignant and provides fresh insight into story writing and telling. "When you're in the middle of a story, it isn't a story at all but rather a confusion," says the filmmaker's father, "a dark roaring, a blindness, a wreckage of shattered glass and splintered wood, like a house in a whirlwind or else a boat crushed by the icebergs or swept over the rapids, and all aboard are powerless to stop it. It's only afterwards that it becomes anything like a story at all, when you're telling it to yourself or someone else." What are you watching? And what are you thankful for today?